John Denham (University of Winchester) finds that the majority of those who identify as primarily English – or equally English and British – are also strongly British; they nonetheless seem to hold a different political outlook to those who identify as primarily British. He suggests that as much attention should be paid to the evolution of British identity as English identity. Most England residents identify as both English and British, though placing themselves on a range from ‘English not British’ to ‘British not English’. Twenty years ago, identity did not correlate with political choices, but in recent years those who identify as primarily English (‘English not British’ and ‘more English than British’) have been more likely to vote Leave and for parties on the right; those who are primarily British have tended to vote in the opposite direction. The votes of the equally English and British sit between the two ends of the identity spectrum. Despite this correlation it has not been clear what people mean when they say they are English or British, nor how their understanding of national identity may be related to their political choices. It has been suggested that the adoption of different national identities within England reflects alternative narratives that offer an explanation of different economic and social experiences. Recent polling by the BBC and YouGov, and additional polling by the Centre for English Identity and Politics sheds some new light on the relationship between the two identities. Taking the population as a whole: 83% are strongly (‘very strongly’ plus ‘fairly strongly’) English and 85% are strongly British (Figure 1); 61% say they are proud to be English, and 58% proud to be British (with 6% embarrassed to identify as English and 6% embarrassed to identify as British). 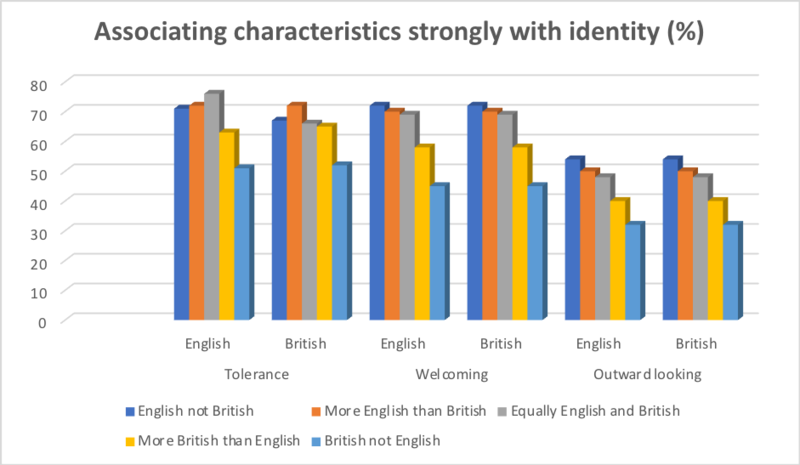 Asked which characteristics are associated with English and British identities, the responses are remarkably similar (Figure 2). This similarity does not necessarily mean that the two identities are synonymous or interchangeable; but any distinction is not defined by the characteristics associated with them. On the Moreno scale (Figure 3) the largest group is the equally English and British (34%). 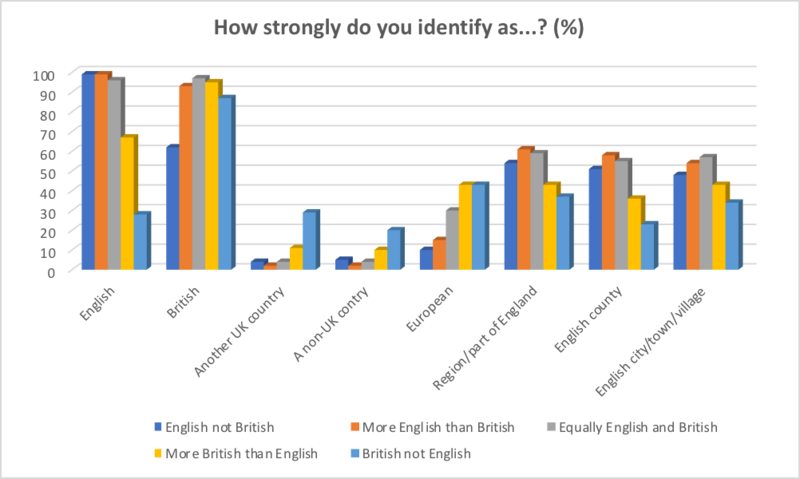 Those tending to emphasise English identity (more English than British (18%) and English not British (16%)) outweigh those who emphasise their British identity (more British than English (14%) and British not English (8%)). The balance between Englishness and Britishness has a discernible impact on respondents’ sense of their strength of national identity, national pride, and their perception of political issues. The question which identity ‘best describes the way you think of yourself’ does not define sharp boundaries between identities. 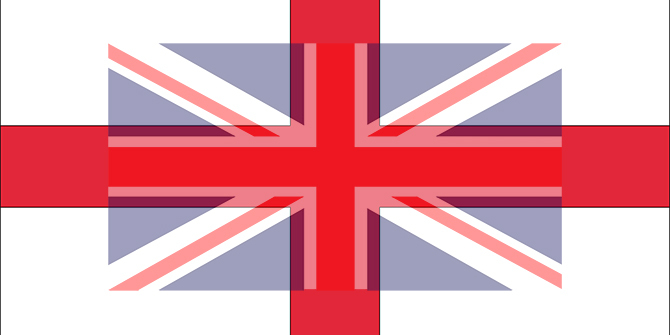 Both the English not British and the British not English include people who hold both identities, but the English not British are less likely to reject the other identity. 62% of those who describe themselves as English not British nonetheless say they are ‘strongly British’. Only 28% of the British not English say they are ‘strongly English’, and 33% say they do not identify as English at all. Only 7% of the English not British say they do not identify as British at all. By contrast, the British not English are more likely to strongly identify with other nations inside the UK (29%) and outside the UK (20%). The more British than English are also twice as likely as the other English identity groups to identify with other nations inside (11%) or outside the UK (10%). 8% of the English not British identify as European, rising to 28% of the equally English and British, 40% of the more British and 38% of the British not English. Differences in worldview and experience are also apparent from the sub- and supra-nation identities. The primarily English, and the equally English and British, are significantly more likely than the primarily British to have a strong identity with a region, country or place within England. In the starkest divide, 61% of the more English than British say they strongly identify with a region or part of England; only 37% of the British not English do so. Previous polling has shown that the primarily English and the equally English not British are more likely to be found outside the major metropolitan cities. 82% of the English not British and of the more English than British are proud of their English identity (Figure 5). This falls to just 13% of the British not English. However, it is not the British not English who are most proud of being British: only 52% of them are proud to be identified as British. 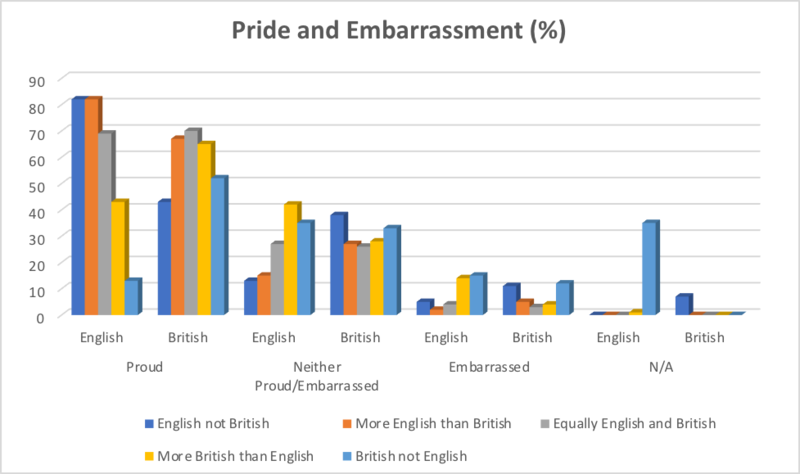 Most proud of Britishness are those with a strong sense of both identities (more English, equally English, and more English than British all score 65% or above). Englishness is a strong marker of pride in both English and British identity; being British alone is not a source of strong national pride. The British are also more likely to hold a negative view of both Englishness and Britishness. 14% of the more British than English and 15% of the British not English would be embarrassed to describe themselves as English. 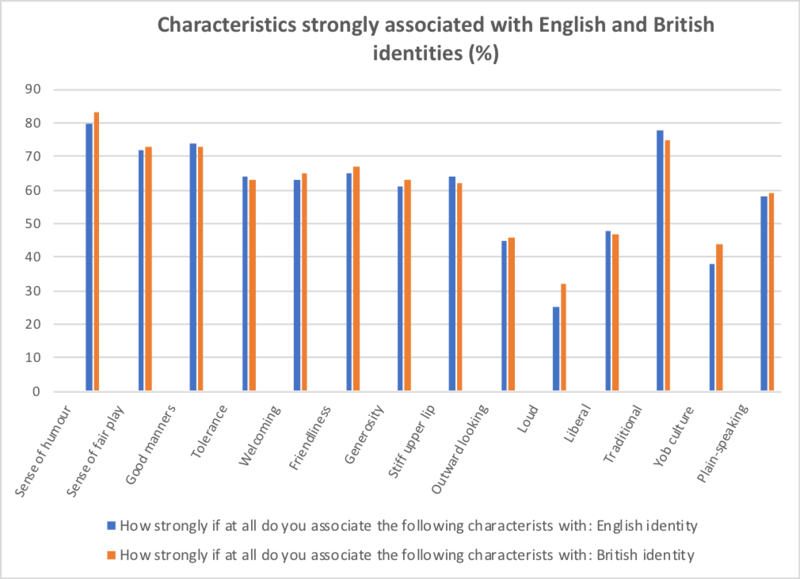 The different identity groups have different perceptions of the characteristics associated with Englishness and Britishness (Figure 6). The primarily English and the equally English and British tend to associate both identities with a broadly positive set of values. 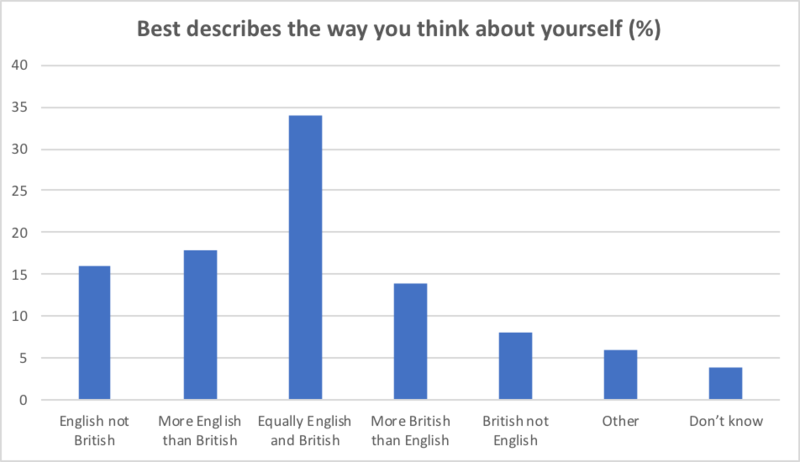 On the other hand, the more British than English and the British not English are less likely to associate either British or English identity with the same characteristics. To give one example, 71% of the English not British associate Englishness with Tolerance but only 51% of the British not English do so. Similar patterns can be found on Welcoming, Friendliness, Generosity and Plain Speaking, and Outward looking. The different groups on the Moreno scale have different perceptions on some key issues of politics and power (Figure 7). While only a minority of English residents of any identity feel they have real influence at local and national level, the primarily English are least to feel well represented. They are significantly more likely to support an English Parliament, and to want the interests of England to be prioritised over the future of the union. Earlier work has also shown that English identifiers were much more likely than British identifiers, (or those living in Wales and Scotland) to credit the EU with significant influence on domestic policy. Englishness and Britishness do not appear to represent different characteristics in the popular mind, but an emphasis on an English or British identity reflects different perceptions of the world. Those who are equally English and British, and primarily English, tend to identify strongly as English and British, have high levels of national pride, and strong roots in English localities. They associate the same characteristics with English and British identities. The primarily British have weaker local roots, are more likely to be European, do not have such high levels of national pride, and are more likely to be antipathetic towards the English. They are less likely to associate either English or British identities with positive characteristics. 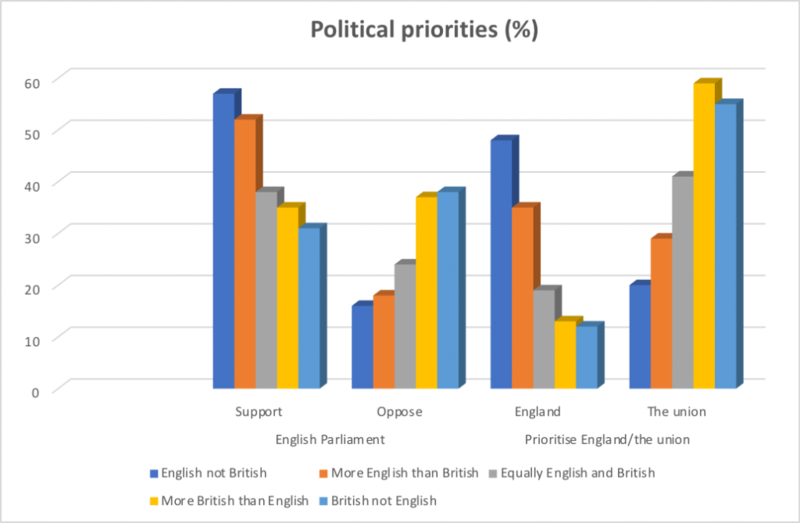 Those who feel that their own and English interests are not adequately represented by the political system are most likely to emphasise English identity and want England’s interests prioritised. While not providing a causal explanation, the different worldviews revealed by this data are at least compatible with voting patterns. Those most open to non-English identities, including European, were most likely to vote Remain. 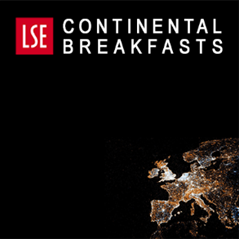 To the extent that migration is seen as more culturally unsettling to those with more deeply rooted local identities it may underpin votes for parties seen as more hostile to immigration. On most issues, however, there is less difference between the equally English and British, the more English and British, and the English not British and between them and the more British than English and the British not English. One similar to Englishness in being rooted in England, and strongly patriotic, though less concerned with English interests, more open to European identity, and more supportive of the union. A second reflecting a migrant heritage, perhaps seeing Britishness as a citizenship as much as a national identity. A third associated with the more liberal, cosmopolitan, more highly educated part of society that is more likely to disdain both national identity and patriotism. Understanding this more complex notion of Britishness would help shed more light on the political salience of both English and British identities. 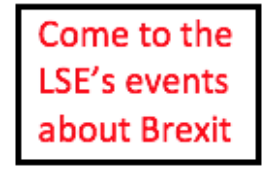 This article gives the views of the authors, not the position of LSE Brexit or the London School of Economics. It first appeared on British Politics and Policy. 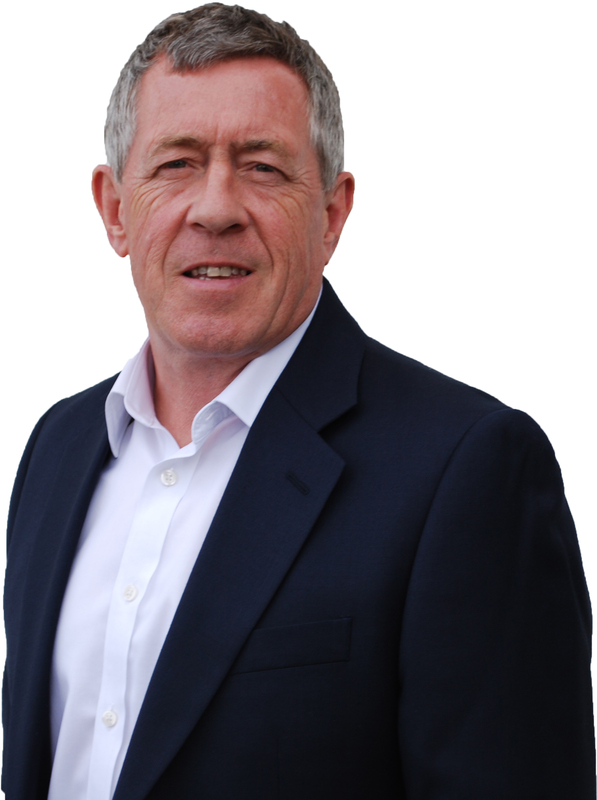 John Denham is Professor of Knowledge Exchange and Director of the Centre for English Identity and Politics at the University of Winchester. The English in Gibraltar proudly wave their Union Jack and voted to remain. I did not come to this country until i was 16 and i identify as English from Guyana. The French identify as French from Cayanne and the Dutch from Surinamme. ond so forth because our upbringing was so.. Four years at Goldsmiths College taught me to be wary about saying i was English such was the politics at the time.. i would not feel ashamed if i were Scottish , Welsh , French Italian or oranything else.. It is the politics in this country which put fear into people for being who they are This article is just another example of a vindictive and devisive attitude hich bases it’s argument on strange data.. Let us wave our flags,and dance.Lets have a party. Whatever makes us feel okay. The Brexit issue is economic.. The EU experiment is not working well for many many people and this is why they voted to leave..Englishness is an idea made up of many peoples who speak English..